Why talk about it when you can just BE about it! H&M Trucking has built our foundation on understanding, acknowledging and honoring the value of high quality, professional drivers which is why, in 2017 alone, we paid out over $470,000 in driver bonuses for meeting and exceeding our safety and compliance expectations! For the third year in a row, H&M Trucking is proud to announce that as of tomorrow, March 1st, we are issuing a company-wide pay increase of 1 cent per mile to all new and existing company drivers! This latest pay raise brings our base rate per mile for new drivers to 45.5 cents and raises pay for all existing drivers by an additional 1 cent, in addition to the potential 4.5 cents per mile pay in monthly safety and compliance bonus. 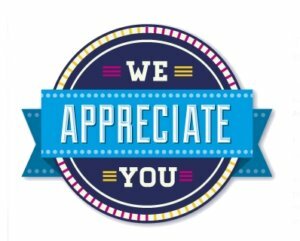 As always, we appreciate all our hard working drivers do to keep this company ahead of the curve and we look forward to serving our clients and community for years to come!